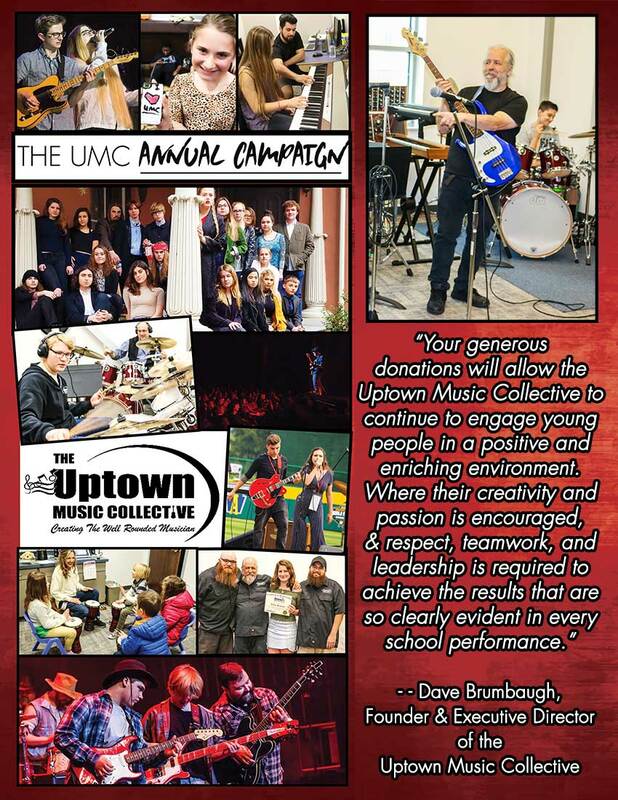 We are proud to announce that the Uptown Music Collective not only reached our 2018/2019 Annual Campaign goal but exceeded it by over $5,000 for a grand total of $25,375!! THANK YOU to everyone who donated to the Collective during this year’s Annual Campaign and helped to make it the best one yet! We are sincerely humbled by this generous outpouring of support. All money raised will go towards our Free Class and Workshop Initiative. This initiative gives all Collective students free access to our renowned classes & workshops. If you didn’t get a chance to donate during this year’s Annual Campaign and still want to support the UMC, stay tuned for details onRaise TheRegion 2019 happening on March 13th & 14th! Thank you all so much for your support of what we do here at the Collective! 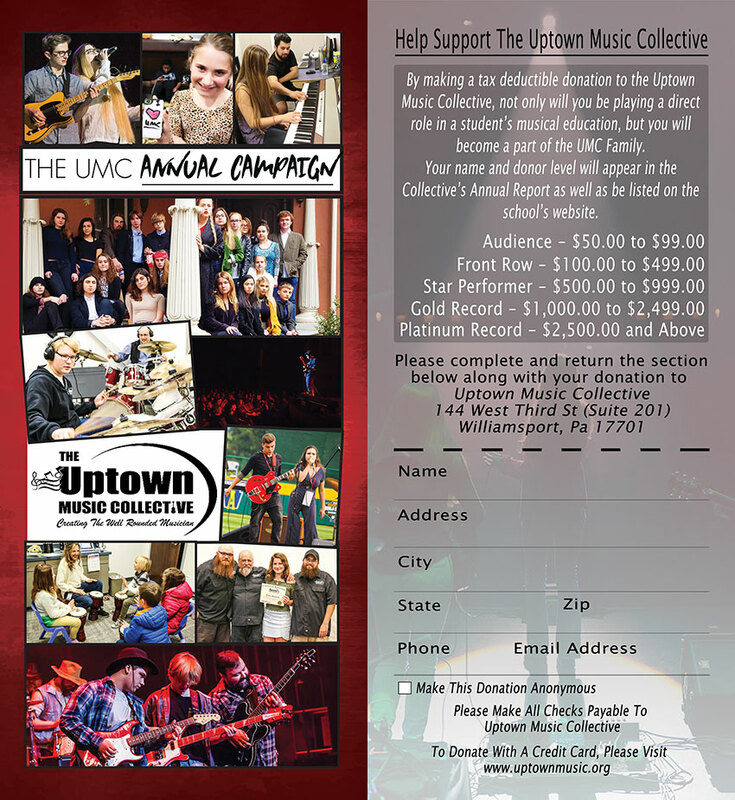 Each year since 2006 the Uptown Music Collective has run its Annual Fundraising Campaign, which has supported many of the school’s projects and programs. As of two years ago, we have changed the focus of our Annual Campaign to directly support the Collective’s Free Class and Workshop Initiative. This initiative gives all Collective students FREE ACCESS to our renowned classes & workshops. 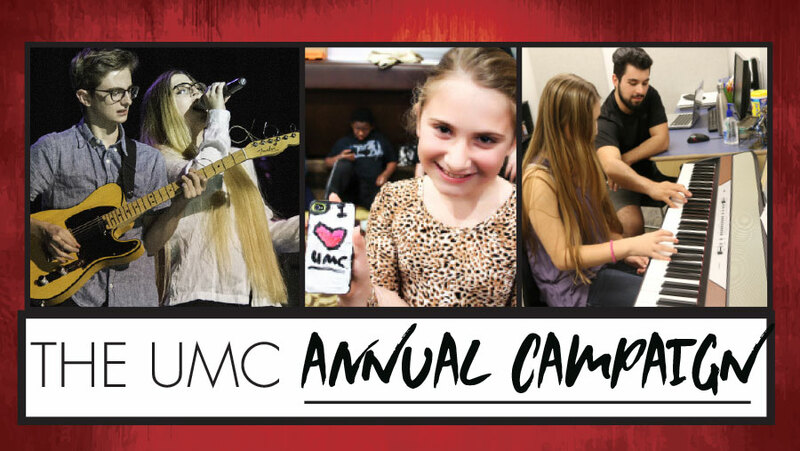 For more information on this initiative and the Annual Campaign itself, please read the letter below from UMC Founder and Executive Director Dave Brumbaugh, and then make a donation by clicking the donate button at the top of this page. You can also make a donation by printing a copy of this year’s donation card, making a check payable to the Uptown Music Collective, and mailing it to 144 West Third St. Suite 201. Williamsport, Pa 17701.